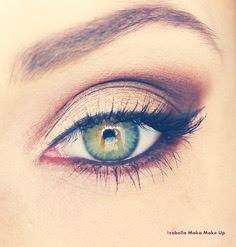 Take non-liquid concealer and apply it to the outside corner of your eye. Smooth in. Then, apply it to the inside and slightly below your eye. This gives a fresher look without having to put foundation on!